After a big downturn over the last few years, oil prices have improved slightly in recent months. Prices are now high enough that oil companies are expanding their operations here in the U.S. But a shortage of workers has meant companies are not getting as much oil out of the ground as they want. Companies are rushing to get the oil out of the ground faster than they can fill the jobs. 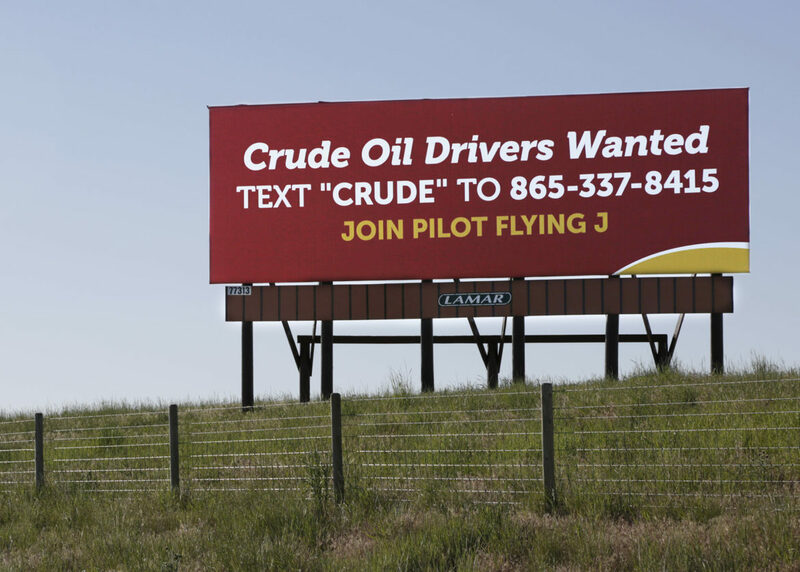 Cindy Sanford with Job Service North Dakota said there are about as many job openings in the Bakken oilfield now as there were during the real boom times of five or so years ago. She said the big difference now is that employers are requiring a broader set of skills from workers. Technology has improved on the rigs. In addition, many wells are now beyond the drilling phase when there was a high demand for unskilled labor. More wells are now in the more technically demanding stages of production — the actual fracking — using water and sand to crack underground rock formations to get the oil flowing. “Well, the frack crews, those positions, a lot of them require a CDL,” Sanford explained, referring to the commercial driver’s license needed to drive semi-trucks. Brady Trucking is a small company operating primarily in oil fields in the west. Recruiting and Retention Manager Jason Crowell said there are worker shortages across his industry. For one, the workforce is graying. “Retirements were up 33-percent last year,” Crowell said. And millennials don’t seem as interested. “Regular middle-class Americans not encouraging our children to go into the trade,” he said. This is important because a lot of these oilfield jobs demand more than just trucking stuff around; they also requires a lot of manual labor. “Some of the stuff is heavy and requires some dragging, lifting, climbing, pulling,” he said. Brady Trucking is going all out to bring in new blood by setting up at job fairs and touting the company’s emphasis on wellness and quality of life. Still, that’s planning for the future. Even if a new recruit trains and gets that coveted CDL, Crowell said they’re often still not quite qualified to do the job: frack crews generally have to have a couple of years of trucking experience for insurance reasons. So, Crowell’s company will send the new workers to other companies to do more traditional, simpler, and lower paying trucking work until they get that experience. But, the hours are long and keep workers away from their families. “Oftentimes these guys drop out of the market before they get to the prize, before they get to the two-year mark, or the qualified mark to get to the oilfield,” he said. If the new employees keep at it long enough to be eligible for these positions it’s not a bad pay day. Crowell says average salary for his company’s 40 or so open oilfield jobs — about $80-thousand a year.